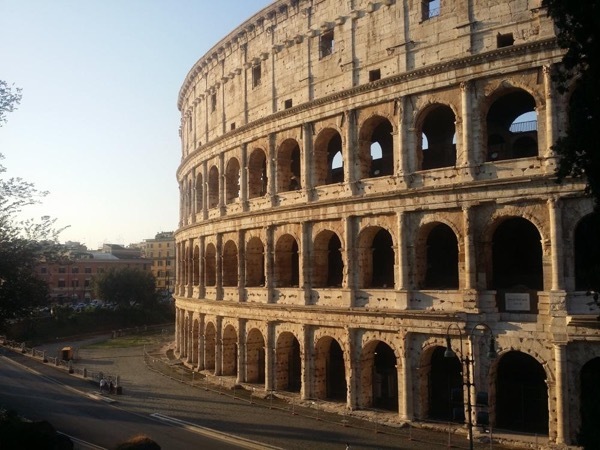 Traveler Reviews for Private Tour in Rome, Lazio, Italy by Tour Guide Giuseppe d.
Wonderful guide. Very knowledgeable and accommodating. Driver was also amazing! If you want to meet the man that has the absolute MOST knowledge of Rome (or elsewhere in Italy, too) then you should absolutely hire Giuseppe. I have no idea how he knows sooooo much history and has soooo much knowledge about everywhere we went! He made certain that all of us saw the highlights of Rome. He was charming, energetic, and you could really tell that he loves what he does. Thank you, Giuseppe for sharing our time in Rome! What an amazing tour of Rome! So many beautiful things to see in such a small amount of time-but Giuseppe made it all happen. We were a family of seven on this adventure to see part of Rome in one day. We were all amazed at the amount of knowledge and great history lessons given by our tour guide. Saw the Vatican, Sistine Chapel, St. Peters Basilica, the Colosseum, the Trevi Fountain and many other historic sites. Highly recommend this magnificent tour guy with such a wealth of information. Thank you!! Giuseppe was a walking history book! Having a driver and guide all day is the perfect way to see Rome! He knew all the shortcuts, best local dining, gelato place, driving shortcuts, express lines & advance ticket sales. We could have NEVER accomplished what we did without him on our own. Giuseppe also was so good at communicating beforehand, and flexible with our scheduling as best he could. He knew how to avoid the worst crowds. Book with 100% confidence of a fabulous day! You will not be disappointed! TOUR GUIDE RESPONSE: Hello Suzanne, Thank you very much for your wonderful reviews about our tours in Rome and Pompeii plus Amalfi Coast. I did my best to show you the beauties of the Eternal City selecting an itinerary which kept us away from the beaten path and the same it was for the Amalfi Coast and Pompeii. They are always very congested but we beated the crowds exploring Amalfi first, enjoying the lunch in a hidden location as Pontone and spending free time in Ravello. In the early afternoon, Pompeii. Great!! Giuseppe is a wonderful guide! His tour was organized the best way for us to see as much as Rome as possible in one day. He was accomodating to our family. In the middle of our Vatican tour, we were hungry. So he stopped the tour and took us to a snack place right there. He always had drivers waiting after each site. He was very knowlegeable and we enjoyed learning all about Rome. The tour was amazing! Our day in Rome was amazing and we do feel it was definitely more so because of our wonderfully personable expert guide, Giuseppe! His knowledge of the ancient culture, buildings and artifact were detailed and passionate! We visited all of Rome's amazing historical sites without feeling rushed or exhausted. He even recommended a bistro for lunch which was absolutely authentic and delicious (I'm Italian, so I I'm a good judge). I would recommend Giuseppe as a guide 100+ percent! The BEST ever! Giuseppe was a wonderful guide, we could not have imagined a more wonderful experience. He was so knowledgeable and kind. Walking through the Coliseum, Forum, Trevi Fountain Spanish steps, etc. was so enjoyable with him. His expertise with the historical landmarks enhanced our experience greatly, turning our day into memories we will long remember. He even paced the walking to in a relaxed manner as to still see everything without feeling like a trek. Guiseppe gave us such a great tour in Rome. His knowledge made the entire experience above and beyond what we had imagined. I would give 10 stars if I could! Giuseppe he was extremely knowledgeable, courteous and flexible. We were able to do quite a bit of touring and sight-seeing in a very short period of time due to his expertise and guidance. I would highly recommend his as a tour guide for Rome, Naples, Sorrento or Amalfi. Due to All Saints Day, we could not tour the Vatican. However, we were able to see St Peter's Basilica earlier in the am when crowds were low. We were still able to make the best of everything and see many other sites in Rome. Giuseppe was an incredible tour guide. He knew all the ins and outs of the city, he even made a reservation for a anniversary lunch. It was one the best lunches I have ever had. He is very accommodating and very thorough, especially with the Sistine Chapel - it helped us see the beauty of it in a whole new light. You cannot go wrong choosing Giuseppe for your tour guide, he is the best. Giuseppe is an outstanding guide and we HIGHLY recommend him. He was prompt and engaging with our group of five adults. His passion was evident in everything he shared. He took the time to explain the various sites we visited in as much detail as our group wanted/needed. He made sure we saw everything on our "wish list" and efficiently mapped out the day. He made sure we had enough time to enjoy a leisurely lunch at a nice local restaurant. Our day with Giuseppe was a big success. Our entire family (6) LOVED Giuseppe and our tour of Rome with him! He spoke with such passion and knowledge of the history of all the sights. Giuseppe was very talented at accommodating our group and our desires. He was kind and respectful, and we could not have wanted anything more from a tour guide. Our day was packed with more enjoyable sights than I thought was humanly possible, and a delicious lunch. 100% satisfaction! I will definitely contact Giuseppe when we visit Rome again. We were so happy to meet Giuseppe again in Rome after having him as guide the day before in Naples. He had a driver (Dominico) pick us up from the Cruise terminal on a timely basis. Dominico was very friendly and was great in navigating the traffic in Rome. He practically got us to the doorsteps of each attraction. Giuseppe was just as great in Rome as he was in Naples. He scheduled our visits to various attractions in an efficient manner to coincide with the less busy times. He is simply great. Giuseppe did a wonderful job. He found out what was important to me and arranged a tour to make sure I saw what I wanted and had all the time I wanted at each sight. Enjoyed the day, saw a lot and learned a lot. TOUR GUIDE RESPONSE: Hello Anita, Thank you very much for your comment about our walkibg tour of Rome and me! I am super happy you are 100 per cent satisfied and you improved your knowledge about the heritage of the Eternal City! Hope to see you again very soon, maybe in Naples for other interesting explorations! Stay well! Giuseppe. Excellent tour!!! Super complete and we enjoyed everything. We stongly recommend Giussepe and driver Fausto. Thanks again Giussepe for everything. Wow, what a guide. I highly recommend Giuseppe, he is extremely professional and organized. Giuseppe had everything lined up for us but also gave us options. We got so much out of it and thoroughly enjoyed our time with as our guide. Giuseppe was perfect!! We were looking to do a history-based trip through Rome with 4 young children and 2 moms. We could not have done it without Giuseppe. He was so helpful with the history, navigation, coordinating lunch, and keeping it exciting for the kids. He was also very flexible and was able to tailor the trip to what our children could do at the time. Giuseppe helped me coordinate a "reenactment" of how Julius Ceaser died in Shakespeare's play. It was perfect and he even filmed it all!! What a fantastic tour with Tours by Locals and Giuseppe our tour guide. We were met at our ship and driven to the Vatican to meet our guide. He was very knowledgeable and passionate about the amazing places we visited: Vatican Museums, Sistine Chapel, St Peter's Basilica, the Colosseum, Capitoline hill for a great view of the Roman Forum, Pantheon, Trevi Fountain, the Victorian and Navona Square. Deluxe transportation, tour company and guide. No better way to see Rome. Giuseppe was incredible. Worked well to understand our 'touring style' and made us feel comfortable. He was great with children and was able to keep them engaged and excited about the many things that we were seeing. We would highly recommend Giuseppe for any tour in Rome or Naples! TOUR GUIDE RESPONSE: Ammon, thank you very much for your fantastic words about me and the tour we enjoyed in Rome last January 3rd. I am super happy all the adults felt comfortable and relaxed. But my joy was the one to see your Children having fun, not only during our visits of the Vatican Museums and Colosseum following the rhythm of my little stories and anecdotes, but, above all, during the Pizza Making I organized for them! You are right, these will be the deepest memories and best incentives to travel back to Italy. Giuseppe is one of the best guides I have known during many years of traveling. Our shore tour to Rome was unforgettable. Giuseppe was friendly, informative and passionate about the history, architecture and art of Rome. His suggestions and recommendations were really perfect. If we travel again to Rome or Naples I will contact Giuseppe again to arrange visiting other places we did not have time to see this year. Mille gracie Giuseppe! It was a whirlwind tour of Rome cramming in all the beauty of the city in a short time. We were met at the port by our wonderful driver Stefano who took great care in getting us around the city throughout the day and back to our ship. We met Giuseppe in the city and he proceed to show us everything we had asked about and more. His knowledge of the city is exceptional. It was a tailored tour just for us and these two guys gave us an exciting day! Highly recommend this team of professionals. Just a wonderful day but limited by time since we were traveling by cruise ship. His knowledge of the Vatican museum was spot on. He made it interesting of the 5 children traveling with us. The colosseum portion exceeded our expectations. We learned more from Giuseppe than we gained from 2 previous trips to Rome. Highlights of Rome were seen by bus which he arranged for our group of 17 people. He is well worth the fee as a guide. This was our second tour with Giuseppe, and once again, he did not disappoint! His driver Domenico met us at the port and we had an enjoyable trip into Rome where we met up with Giuseppe. Giuseppe's knowledge of the city and it's history is just awe inspiring. As I said in my review of the Naples tour, having Giuseppe as a guide is like having Fodors in your back pocket - without having the hunt for the good stuff! TOUR GUIDE RESPONSE: My dear Donna, Rome and surroundings always save glorious days! Ours was one of those!! I did my best to show you the beauties of the Eternal City, but with no stress and composing what I supposed to be the right rhythm of visit and tailoring the proper things to see among the immense heritage of the Eternal City. Thank you very much for your commentaries. I’ve loved to have you as guests in Rome!! We loved the tour. Giuseppe is a wonderful guide that kept everyone in the group engaged. We received enormous amount of information in a city full of history. He was also very efficient in covering as much ground as possible in one day. We will definitely contact him in future trips to Italy. Giuseppe escorted our family of 4 on a shore excursion. His driver Luigi, met us dockside and was very sociable and likable the entire trip. Giuseppe met us at the Colossium and was energetic and charismatic. He went above and beyond to meet our needs and make our day special by purchasing advance tickets, helping to circumvent lines in every location we requested, recommended a restaurant and gave us an added bonus city view stop on the way out. Every detail was perfect. TOUR GUIDE RESPONSE: Dear Margaret, You and your husband were Fabulous during our tour!! Thank you for your kind attention and smiles!! I wish you all the best and a marvelous New Year!! Giuseppe was a wonderful guide. He was able to customize our tour so we could see everything we wanted and more. He is very knowledgeable and speaks excellent English. We highly recommend him. Giuseppe was the best guide we could get for this kind of place. His wealth of information made it the best experience ever. As we toured Rome, he shared all the history in a captivating way. I was amazed by his knowledge of the history of the places we visited. He was enthusiastic and navigated us through the crowd making it possible to see a lot in limited time. I definitely recommend Giuseppe as your tour guide for Rome. Guiseppe was an Awesome guide and Fausto was an awesome driver, always there when needed. Basilica was closed unexpectedly, but we all made the best of it. Saw so much before we waited in line at Basilica for 2 hours. Giuseppe was patient with us and HE KNOWS HIS HISTORY!!!! We requested gelato and he brought us to a great place, also requested lunch to go and he found us another wonderful place. We knew we would not have time to eat in Rome so we got food to go while waiting in line. HIGHLY RECMND! We only had one day in Rome from the Cruise ship. This is definitely, the best way to do it. Giuseppe and Nicholi (the driver) were AMAZING. Every bit of information and each suggestion that he made just made the day even better. I will recommend this tour to all of my friends. One of the best decisions we made on our recent trip to Rome, was to book a tour with Giuseppe. He gave our family of five a fabulous look at his beautiful city in the form of a private shore excursion. Stefano, our driver picked us up at the port, and delivered us to Giuseppe in Rome where we benefitted from his knowledge and enthusiasm. He was prompt in answering emails and designed a very organized tour just for us. Giuseppe exceeded our expectations in every way. We highly recommend him. Our guide Giuseppe set up a whole day of sightseeing. We were picked up from our cruise ship by a private van and toured Rome on foot for the day then returned to our ship by the same van. Giuseppe was very informative and fun to be with. He recommended a delicious place to eat an Italian lunch. We had a wonderful day! Guiseppe is both knowledgable and energetic. However, he unprofessionally fought with another tour guide in front of many people at the Sistine Chapel, and continuously wanted to cut lines and have us fane injury to gain unnecessary advantage in lines. He did not regard one member of our team who was in need of a restroom. He also failed to apprise the women of our group to cover themselves to enter St. Peter's Basilica - resulting in their inability to enter. Lastly, he did not address the cost of entry. Giuseppe is a wonderful guide and person -- we highly recommend! Guiseppe is a wonderful guide and person -- we highly recommend! Giuseppe was a wonderful guide, so flexible and willing to work with our schedule in order to see as much as possible in 2 days. He created a special 2 day tour for us, so we were able to see many of the amazing sites of Rome. He was an incredible source of information on every site we visited. He was willing to answer all of our questions, and made us feel comfortable in asking them. We had a wonderful time and would recommend Giuseppe to anyone planning to visit Italy! Outstanding- you won't be disappointed! We were a party of 10 - 6 adults and 4 kids ranging in age from 11-14. He was as personal and accommodating with the kids as he was with the adults. How to see Rome in a day?! Well, Giuseppe can do it and not only make it enjoyable, but memorable. He is a wealth of knowledge and we truly enjoyed being with him! Giuseppe was excellent: knowledgeable (encyclopaedic! ), versatile and, above all, enthusiastic. His walking tour of Rome was adapted to my requirements, and exactly what I asked for. Thank you, Giuseppe. What a GREAT Day in Rome. Giuseppe purchased tickets in advance so NO long lines. His passion, knowledge and love for Rome is remarkable. He has so much information and was able to answer our questions. It is so nice to have a guide that can get you around to see everything in such a short amount of time. He is really a great tour guide!! I would like to acknowledge Giuseppe for the excellent service he provided my clients. They said he was very warm and personable, and gave them outstanding care and attention. They will highly recommend him to friends and family, and I will do the same with future clients. Giuseppe is an excellent guide! He is passionate about his work and the areas he presents in the tour. Very informative with a wonderful knowledge of the history and cultural elements. We thoroughly enjoyed our time with him. He managed our time well, pre-planned activities as appropriate, and ensured all our interests were met. He arranged a driver, Domenico, who was also fun and courteous. We highly recommend both of these gentlemen and would welcome the opportunity to enjoy their company again! Giuseppe was a very knowledgeable and entertaining guide. We enjoyed our day in Rome with him. Thanks so much! Unbelievable! We travel with guides a LOT. Giuseppe is as good as it gets! We had the best two days with him in Rome and Naples. We gave him a list of things we were interested in seeing and he pulled off our full agenda off with no problems! It did not matter what we asked him he knew the answer. Wish I could say enough about him! It was door to door red carpet service the entire way!!!! By the end of the day he will be more than your guide, he will be a friend for life!